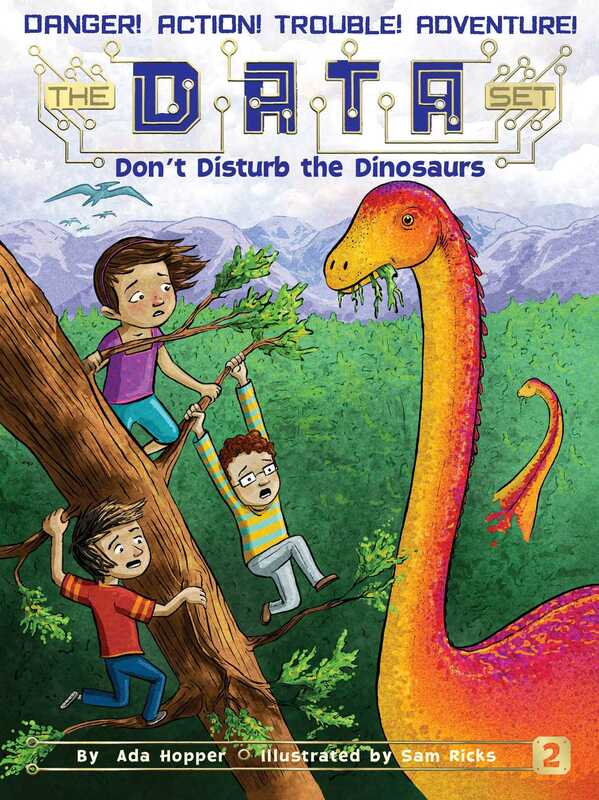 The DATA Set find themselves stuck in the prehistoric era in the second adventure of the brand-new series! Thanks to Dr. Bunsen’s latest wacky invention, the DATA Set are blasted back to the prehistoric era. Gabe is in heaven, but Laura warns that they shouldn’t touch anything. She’s afraid they could contaminate the past and permanently change the future! But it’s hard not to interfere with the locals as the crew quickly finds themselves dashing from flying pterosaurs, stomping stegosaurus stampedes, and a sharp-toothed T-rex! Will they be able to survive in the past…or have their futures been lost for good?